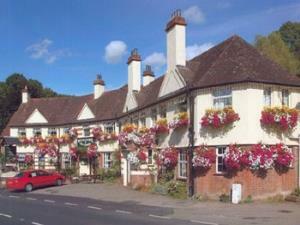 The Wye Valley Hotel is situated in an area of breathtaking natural beauty at Tintern in the heart of the Wye Valley. We offer serve the same menu whether you chose to dine in our restaurant or eat in our informal bar. Our Chef uses fresh local produce and can cater for any special dietary needs and choices range from speciality steaks to Welsh, and international dishes. The History of the Wye Valley Hotel dates back to 1835 when part of the current building was known as "The Carpenters Arms Public House". Tintern was then an industrial iron-making valley of 6,000 people. The Hotel was renamed in 1927 and extended to its current form. The Hotel is owned and managed by Sue and Barry Cooke who previously ran hotels and licensed premises around Oxford. Ideally placed between the two historic towns of Monmouth and Chepstow, Tintern is at the heart of the Wye Valley and all the attractions it has to offer. There is ample car parking at the front and rear of the hotel. We can also provide secure storage for bicycles. Dogs are welcome by prior arrangement, and with the exception of the restaurant, are allowed in all areas. We are open all year with special dinner, bed and breakfast breaks. We look forward to welcoming you.